I'm not sure what it's called when a piece of art is hung in someone's house, but whatever it is, that's how I feel. 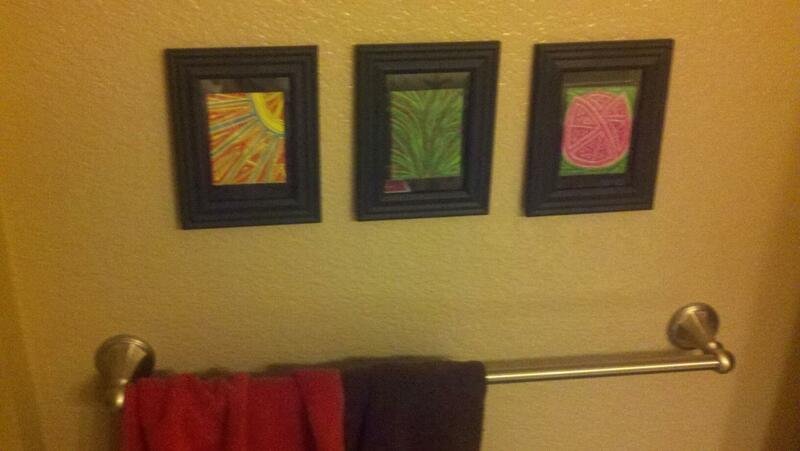 My dear friend liked my doodles so much she wanted them for her bathroom. I feel so honored! I gave a student this puzzle as a writing prompt. Translation: First he was a ball. Next he was a hot dog. Last he was a frog. When he read the sentences back to me he was perfectly content to believe that a hot dog could turn into a frog. I guess I should have taken that opportunity to mention the vocabulary words egg and tadpole.